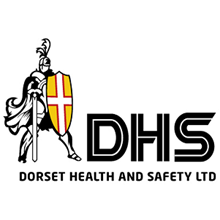 Dorset Health and Safety Limited is an established training company, we deliver training services with excellent facilities throughout the south of England and beyond. We offer exceptional learning solutions across a range of sectors which have been designed to engage learners at organisational, team and individual levels. We support learners at every stage of the training cycle and employ our expertise to identify and implement solutions that will help you transform the skills, knowledge and behaviours within your organisation or as part of your personal and/or professional development. Learning with us guarantees you a high quality service and commitment, whatever your requirements.